This includes a personal appearance by Mr. Twist, the owner of Imagination Overdrive and author of Balloon Animal University. He performs for Disney and Universal Studios and would love to make your next party/event the best it can be! He will attend the party doing Advanced Balloon Sculptures. These are the really impressive ones, and he can make almost anything! The children can choose from thousands of incredible designs, from Spider Man or Mario to Bugs Bunny & 5 foot tall Road Runners and a full range of the Disney princess balloons and even balloon caricatures (BALLOONACATURES!) of the children themselves! 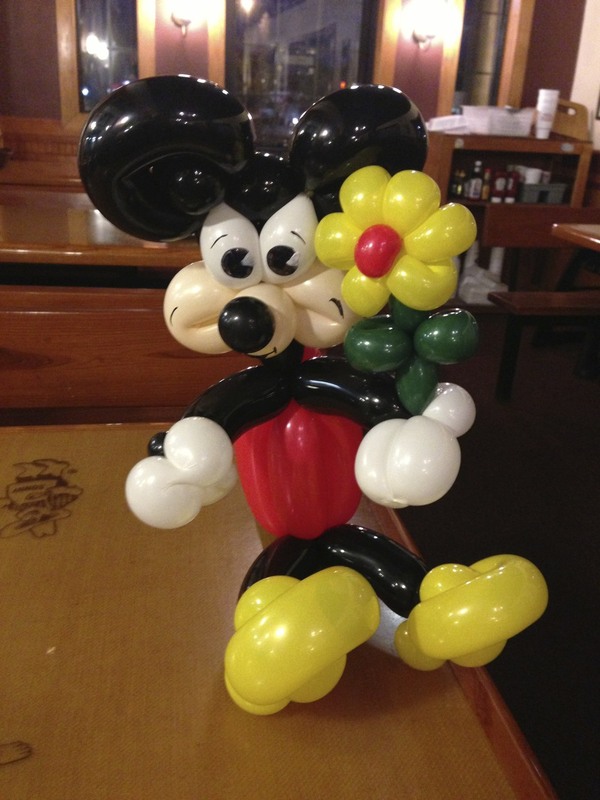 He takes requests from and makes one of these style balloons for each child. If you have a theme to your event we will customize our work to fit the theme. We make up one giant or extremely detailed character, like the ones on our website to present to the birthday child. It can be any character they like, even if we need to design it especially for you. These take a lot longer to make so we build it in advance (so that YOUR child will have the BIGGEST, COOLEST balloon of anyone). We still make a balloon for the birthday child in person, of course. A customized birthday diploma, which shows that your child has completed the mandatory 12-month waiting period to become a ‘x-year old’. These are very cool and are printed on canvas so they will last a lifetime. We also bring clear 2’x3’ poly bags to put each child's balloon sculptures in, so they are sure to have them in good condition by party’s end. (Otherwise they tend to pop them, especially if they go outdoors; We put their names on them all too). This can also be used as a ‘goody’ bag for the kids! 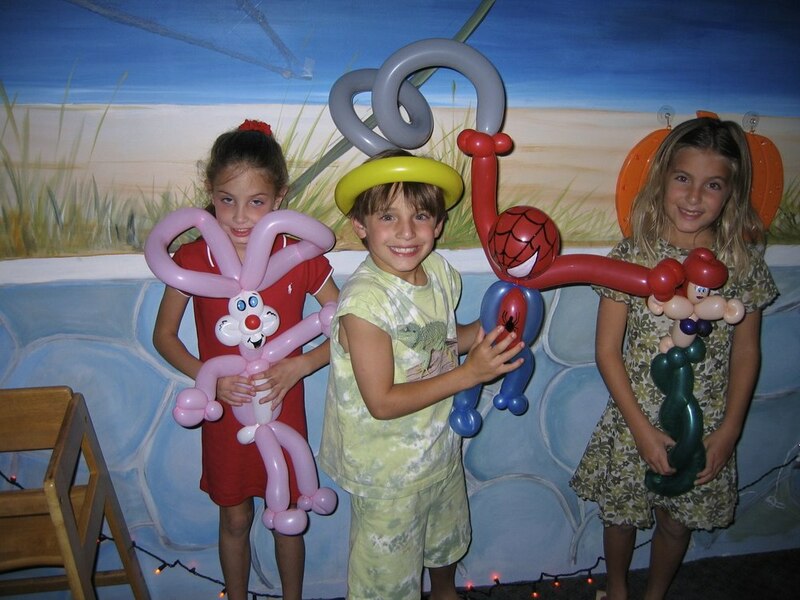 The fun doesn’t end with the party, the guest of honor also gets one of our Balloon Animal University Kits too. Includes one of us attending the event doing intermediate Balloon Sculpture. These creations are smaller but still nice and very colorful! This option also includes the Birthday Diploma from above. Includes one of us attending the event doing Basic Balloon Sculpture. These are cute single balloon creations and are much smaller than the other options, but may work better if you have a lot of children or a short amount of time available at your event. This option is for our Balloon Animal training class. It adds a fun craft to the party and the kids get a great take home gift for their goody bag! Sign up now to have Balloon Animal University at your next event! What is it exactly? Frustration Free Instructions! The most important part of any balloon animal kit are the instructions. Our book is a work of art and when you hold it, you know it's a quality product! Access to our password protected video series that goes along with our Balloon Animal University textbook. Balloons: Balloon Animal University contains only professional grade brightly colored vibrant balloons that can endure the twisting needed to make our lovable characters. Our nifty unbreakable air pump works! It's made from a firm but pliable material. It can withstand drops and heavy duty play without missing a beat. It's also fast and easy to inflate the balloons with a squeezing motion. We make learning fun and appealing! Our kits sell on amazon for between $13 - $25 each. Now for the same price you can get the kit and the one-on-one instructions! The fee for this option is $ 13 - $20/per child (based on the version of the kit you choose). Face Painting banner menu used at events. Includes one of us attending the event doing Face Art . We take requests from the children and specialize in full face creations. Note: This option does not work well for pool parties unless you start after the swimming. Includes one of us attending the event doing glitter tattoos. These are a definite hit, they last a long time and are waterproof! This 35 - 40 minute experience includes a personal visit from your child’s favorite character or Princess. Photo Session, dancing with the children culminating with the happy birthday song for your guest of honor! (Different Characters have different activities). Includes one of our amazing artists attending your event doing Caricatures. We have artists that specialize in color or black and white, as well as a one-of-a-kind artist that creates vibrant caricatures where the color explodes off of a giant canvas. The fee for this option is generally around $ 125/hour depending on who is available. Includes one of us attending the party doing either strolling magic for the adults as well as kids and/or a 35- 45 minute comedy magic presentation tailored to larger audiences. We can talk on the phone and I’ll explain the difference and find out what you are more interested in. We do arches, centerpieces, giant art installations, photo shoots, murals, etc.... Giant balloon costume atmosphere characters are our newest item! All prices are generalizations. Things vary based on travel distance, availability, etc... Please call or email for an exact quote. Send Balloon Love - High end balloon sculptures and bouquet gifts. Delivered to you or your loved ones. Click here to go to our Send Balloon Love page.